Over thirty percent of the population speaks a language other than English at home. The Latino immigrant population makes up approximately three-quarters of the foreign-born population in the greater Albuquerque area. Almost half of the total population is of Hispanic descent. 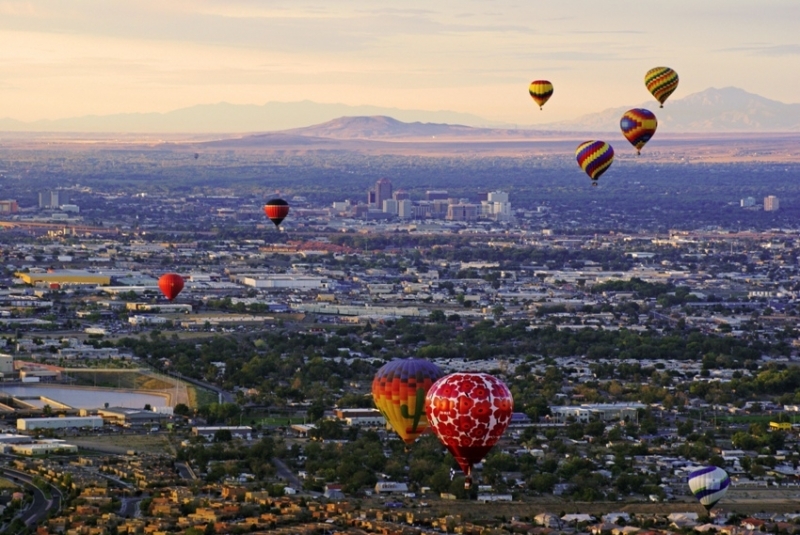 Southeast Asians are the fastest growing foreign-born ethnic group in Albuquerque. The greater Albuquerque metro are has the second largest Navajo population in the nation. The number of international students that have enrolled at the University of New Mexico has more than doubled in the past five years. Throughout its early history, the city of Albuquerque's ethnic makeup was primarily Latino and Native American. This is evident throughout the cultural impacts these ethnic groups have had on the city. Many of the social and cultural constructs of the area are rooted in Latino and Native American traditions. Each of these two groups still have significant populations in the city, and will continue to influence the culture of Albuquerque. By far the largest foreign-born group in greater Albuquerque are the Latinos. They make up almost seventy-five percent of the foreign-born population, and almost half of the entire population in the area. They are the single largest ethnic group in Albuquerque, and are almost seven percent larger than the white population. The largest people group in Albuquerque is Mexican, but there are also growing populations from South American countries such as Chile, Colombia, and Peru, and from Central American countries such as Cuba, El Salvador, and Guatemala. The fastest growing ethnic group in Albuquerque are the Asians, especially those from Southeast Asia. The populations from countries such as Laos, Vietnam, and the Philippines have more than tripled since the year 2000. As small Asian communities begin to appear throughout the city, the Asian population in the greater metro area is projected to increase significantly over the next several decades.